I have been out of pocket for a while so this may be a long post. Just got back to the Bay Area yesterday evening from my 4 day road trip sadly moving Angela out to Colorado. We had a wonderful time. Without giving away too many details, here is the recap. Emeryville, CA to Sacramento, CA (1 hour 48 minutes and super fun!). Packed the car and started driving...Here are the key players that were in the car. 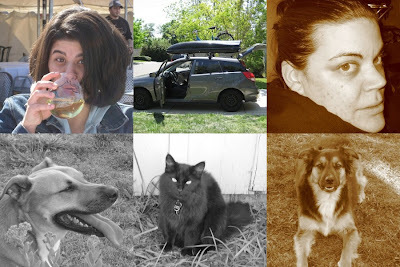 Clockwise from left; Angela, Matrix, Maltese Kat, Shelby, Claudine and Ella. 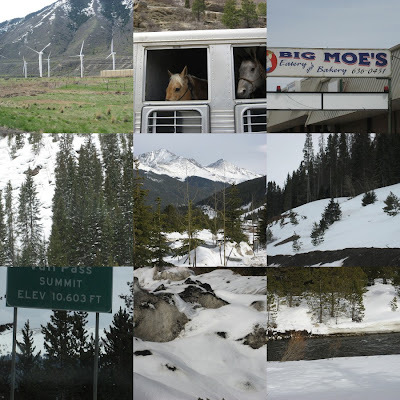 Our first stop was in Verdi, NV where we gassed up, let the dogs run and ate fish sandwiches at Jack in the Box. We decided we would gamble at all the stops in NV. We won $8.25 on a dollar at this place. We didn't even know what we were doing, which made it more fun. We stopped for the night in Elko, NV. It is a small mining town with lots of vintage motels and casinos. It seemed like a destination spot for some folks - gold miners? 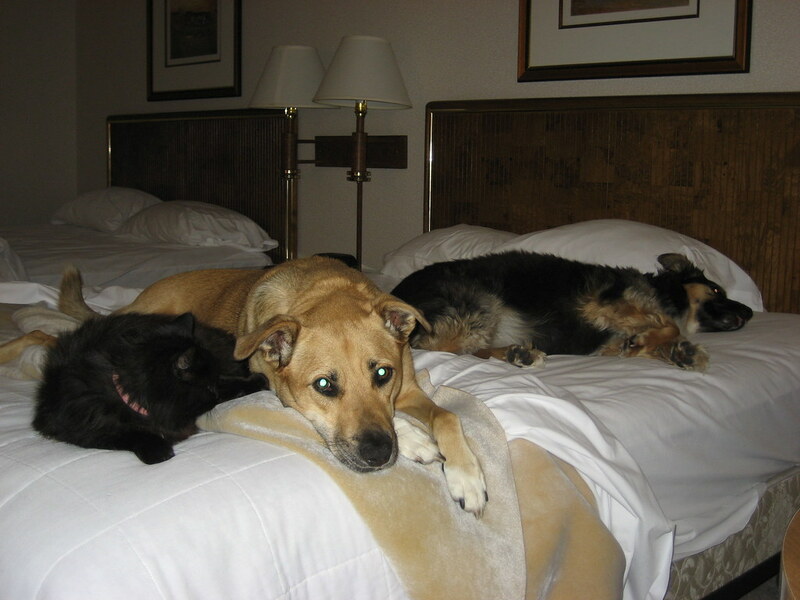 We stayed at the High Desert Inn, the dogs were pooped, we all slept really well that night. 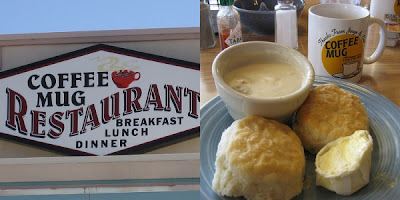 Morning in Elko, NV - we drove around, took some photos and asked a woman on the street where the best breakfast in town is (Rachael Ray style). We found our way to The Coffee Mug, and it was pretty darn good. Luckily, no dietary rules apply when you are on a road trip - so we went all out. We left Elko at about Noon or so and headed to Salt Lake City. 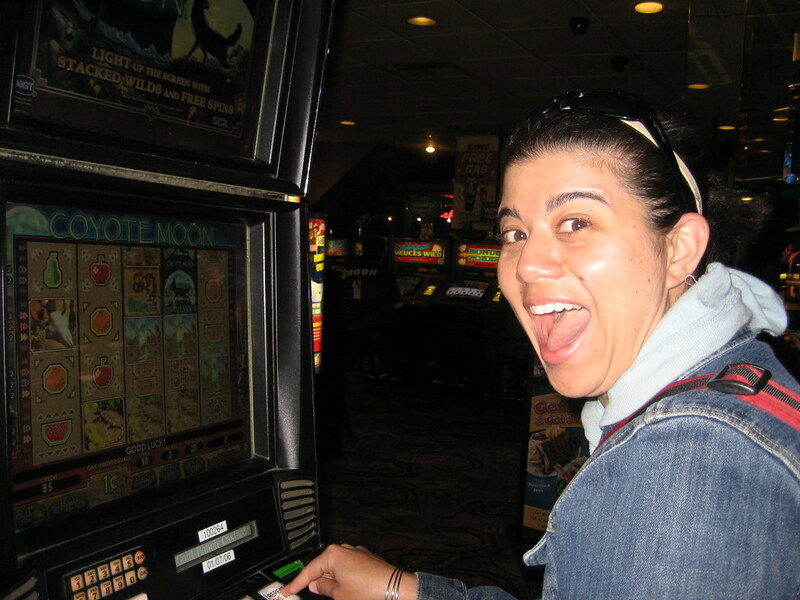 We fueled up and played some slots once more before heading over the Great Salt Desert. 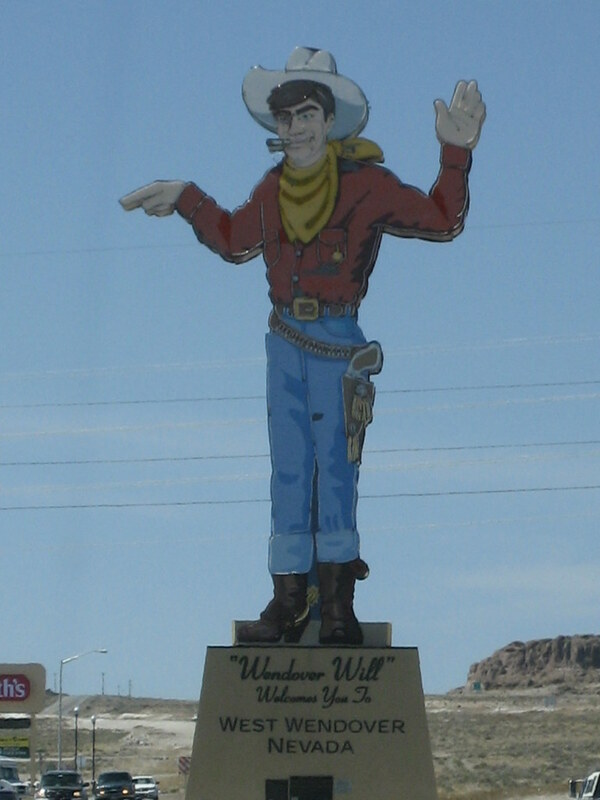 Our stop was in West Wendover, NV, we were welcomed to town by Wendover Will. He was waving us down to the Rainbow Casino. 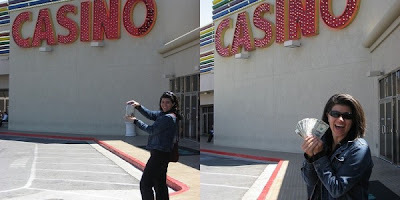 Since we were traveling with an old mayonnaise jar full of change, Ang decided to take it into the casino and cash it out. When we walked into the casino, Angela was in front of me and all I could see over her shoulder was mirrors and neon - I was dieing laughing, I couldn't even talk. I grabbed her and pulled her back into the vestibule before we made our entrance. 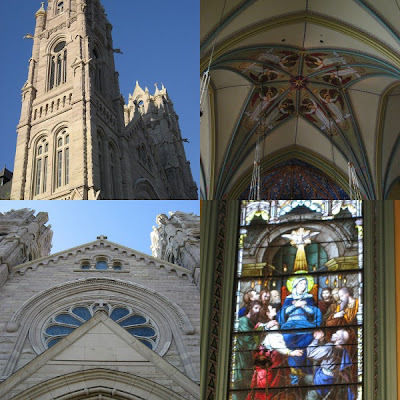 We had a really good laugh and then upon entering we decided it was best to take a couple photos of the place - WRONG. The manager came over to us within like 30 seconds and told us that we couldn't take photos, etc. first reason was the Mormons wouldn't want to be photographed in there (then why are they in there in the first place?) and second, no photos in casinos period. Who knew? So, I deleted the photos in front of him and we went and cashed out the change. We played with $10 and made $17 and change. Again, we had no idea what we were doing. After the casino, we drove across the Great Salt Desert - a giant long straight away with constant mirages in front of you. No services, just vast amounts of nothingness. We arrived in Salt Lake City, UT late in the afternoon. We checked into the old Peery Hotel downtown. It was a really nice old hotel. Our room was pretty small compared to the two beds we had the night before. We had a full size bed for the 5 of us! Ha ha! The animals were going to have to sleep on the floor this time. We unloaded the car and the dogs and got everything in the room. Now for operation Claudine. The hotel did not know we had a cat with us. I think people are scared a cat is going to make a mess, spray (boy cats) or pee all over. Not our traveling champ. Since we had to go through the lobby of the hotel we decided to put Claudine in my little backpack. In she went and right as I approached the door of the hotel her little head came right out of the backpack. She had pushed her nose between the tiny space where the two zippers met and decided to see what in the heck was going on. I turned around so fast and was laughing so hard as I shoved her back in and zipped her back up. We got to the room and set up her little potty box and she acted like she owned the place, like the night before at the other hotel. 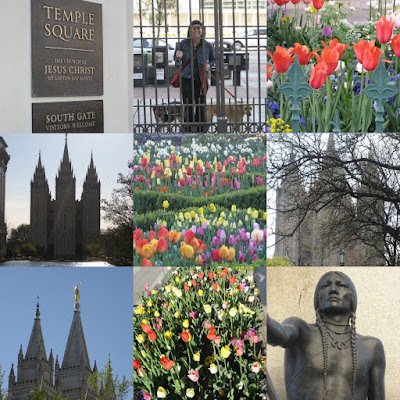 We had some places checked off of our AAA book that we wanted to check out so we took the dogs for an urban hike to Temple Square (The Church of Jesus Christ of Latter-Day Saints) to check out the temple, tabernacle, etc. When we approached the square and walked through the gates we got stopped and were told we could not bring the dogs in unless we could carry them in. Seriously? They were on leashes and are so well behaved. So weird. So, we walked around outside. The offices of LDS have some beautiful gardens with millions of tulips and daffodils. It was beautiful. After our walk around town we went back to the hotel before going to dinner at the Red Rocks Brewing Company. Our meals were terrific - so were the cocktails! I had a smoked trout sandwich on pumpernickel with red onion, tomato, cucumber and dill cream cheese on the side I got carrot chips which were raw carrots sliced waffle style on a mandolin (very thin) with ranch dressing to dip in. 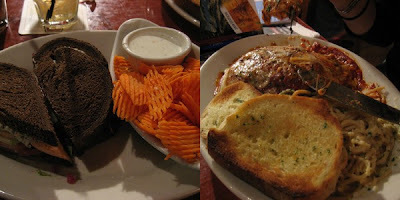 Angela got eggplant Parmesan, spaghetti noodles with olive oil and cheese and garlic bread! Oh, did I mention we started the meal with calamari? Good thing we had to walk back to the hotel. This is what we found when we got back to our room. Look at Claudine's glowing eyes in the background on the chair! We had a nice night sleep and headed out at 9:30 AM for the long haul to CO. We changed our route due to a sign we saw on the 80 in Utah stating that the 80 was closed in part of Wyoming due to snow. We decided to drive down to the 70 and enter CO from the west side and we were so glad that we did, it was gorgeous! We went through so many mountains, it was incredible. Before we left Utah, we stopped in Price at a place called Big Moe's for lunch. It was like we were eating in someones small bakery. They had all kinds of home made baked goods and tables set up inside to eat at. We split some rings and each had sandwiches on home made bread that were deelish. We rook the dogs for a little walk and got back on the road. Sunday, woke up, took the dogs out, hung out with Frankie before leaving for the airport. 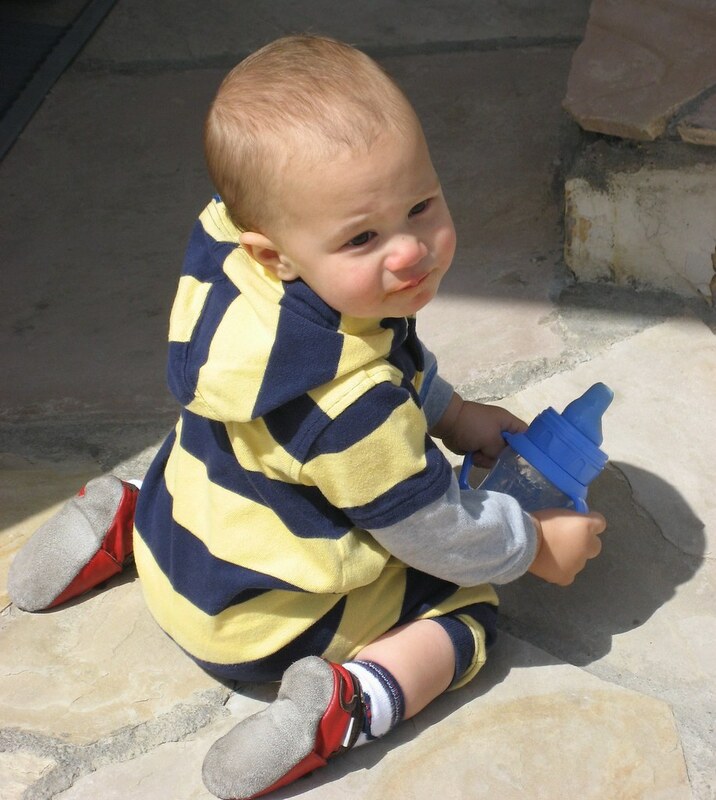 I had a good cry before we left, I didn't want to make a scene at the airport - too much of an audience there. I am still sad that my friend is not here. But I know she is a phone call away and I can get her anytime I need to. I will miss Frankie growing up before my eyes like he has over the last year. My flight was uneventful, I slept the entire time. When I arrived in San Francisco, our tradition continued where Tim and I go to Celia's for a Mexican dinner. I was happy to see Tim and I think he was happy to have me back at home. After all, I am the entertainment. It was a wonderful trip that I will never forget. We laughed so hard at times, it was a great release for me. The timing was perfect, a nice escape from the adoption stuff going on in my life. We talked about it, but not too much. It was a conscious effort on my part, I needed a break. Angela, I love you so much! You are a sister to me, you know that. I will miss you so much but I know distance will not change our friendship. I cant wait to see you in a few months. 100.6 in The Mission today!